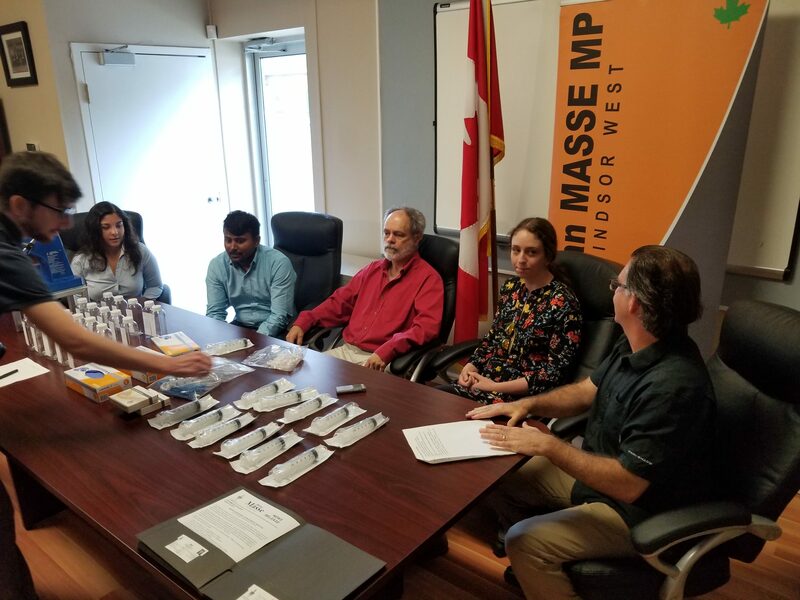 Brian Masse M.P. (Windsor West) is working with scientist at the Great Lakes Institute for Environmental Research on a “Citizen Scientist” initiative to help improve measurement techniques of pathogens in the water for the region. Brian Masse’s office will be one of several locations across Windsor-Essex where Citizen Scientists can pick up a water sample collection kit and drop it off. Masse is excited to participate in this important project: “I am proud to have the opportunity to support Great Lakes research in our region and am particularly excited about the public engagement aspect of this project. I think people in our community understand that our quality of life is positively impacted by the Great Lakes, this project gives people a direct opportunity to become further invested in preserving, protecting and enjoying the water that surrounds us.” Masse said. Bottle Collection: Thursday and Friday, August 17 and 18 from 4 to 6 pm. Click on the link below to view GLIER’s brochure on the 2017 Water Blitz! !